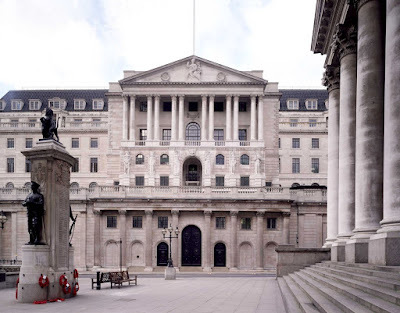 THE Bank of England’s Monetary Policy Committee today voted to reduce the official Bank Rate paid on commercial bank reserves by 0.5 percentage points to 1.0%. The global economy is in the throes of a severe and synchronised downturn. Output in the advanced economies fell sharply in the fourth quarter of 2008, and growth in the emerging market economies appears to have slowed markedly. Business and household sentiment in many countries has deteriorated. The weakness of the global banking and financial system means that the supply of credit remains constrained. In the United Kingdom, output dropped sharply in the fourth quarter of 2008 and business surveys point to a similar rate of decline in the early part of this year. Credit conditions faced by companies and households have tightened further. The underlying picture for consumer spending appears weak. Businesses have responded to the worsening outlook by running down inventories, cutting production, scaling back investment plans and shedding labour. The Committee welcomed the Government’s latest measures to tackle the problems in the banking system, including the creation of an Asset Purchase Facility to buy high-quality corporate debt and similar assets. CPI inflation fell to 3.1% in December. Pay pressures have diminished. But sterling has continued to depreciate, boosting the cost of imports. Inflation is expected to fall to below the 2% target by the second half of the year, reflecting waning contributions from retail energy and food prices and the direct impact of the temporary reduction in Value Added Tax. But the impact of changes in the rate of Value Added Tax, and the gradual pass-through of the depreciation in sterling, mean the path may be somewhat volatile. At its February meeting, the Committee noted that, although the transmission mechanism of monetary policy was impaired, the past cuts in Bank Rate would in due course nevertheless have a significant impact. Together with the recent easing in fiscal policy, the substantial fall in sterling and past falls in commodity prices, that would provide a considerable stimulus to activity as the year progressed. Nevertheless, the Committee judged that there remained a substantial risk of undershooting the 2% CPI inflation target in the medium term at the existing level of Bank Rate. Accordingly, the Committee concluded that a further reduction in Bank Rate of 0.5 percentage points to 1.0% was warranted this month. The Committee’s latest inflation and output projections will appear in the Inflation Report to be published on Wednesday 11 February. The minutes of the meeting will be published at 9.30am on Wednesday 18 February. There are currently 450 Ayrshire business stories permanently archived on this site. To locate those of most interest to you, please use the site search facility in the top left hand corner of this page. Type your search term in the white box, then click “SEARCH BLOG”.